Finding the right person to care for your baby while you’re away, is probably one of the hardest things that a parent has to do. You worry about whether the person will meet your baby’s needs. Will this person provide your baby with enough attention? Is he/she in a safe environment? What is the person’s hygiene habits? Will your baby be left alone at all? Does this person have enough experience? Are they trustworthy? How will your baby be treated? 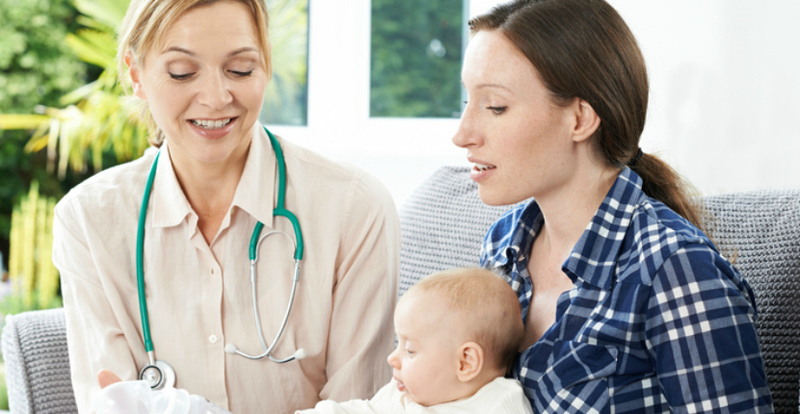 There are a myriad of questions that new parents ask themselves when it comes to the person who is tasked with caring for their child. And honestly, no one will ever completely meet all of the expectations of mom and dad. But that’s ok.
Before you start your search for compatible newborn care, here are a few tips FHC found that really work to help ease the worry and anxiety you might have about finding the person that will be the best fit for you and your family. This is probably one of the most important things you can do to ensure that you find the right candidate. Be thorough in your search. It’s your best line of defense. You meet a person who comes well recommended by friends. They’re licensed and educated with tons of experience. On top of that, they seem very loving, caring and responsible. But you when you finally meet face to face her, something inside says otherwise. She seems great, but not everything is quite adding up. That feeling, experts say, is your maternal instinct. Try to listen to that voice because it may be signaling something is awry. Consider your instinct built-in protection for your child. During the interview, let your potential caregiver know what your expectations are, your values, what you’re trying to instill in your child and why that’s important for you. Choose a day and time when you’re home for the caregiver to come over and spend some time with your baby – feeding, changing and putting them down for a nap. This way you can get a sense of how she interacts with your little one and they way she handles things when they come up. New parents often carry the weight of taking care of baby, holding down a job, cooking, cleaning and everything else. An experienced caregiver can help with changings and feedings, provide care while you rest, expert advice and help wherever needed. This way, much of the burden and stress you feel as a parent is lifted, while harmony and balance is maintained in the home. Freedom Home Care in Highland Park is ready to help you with a newborn care program and ease into life with a new baby.